America's Premier RV / Motorhome Rental Company Since 1970. Newest Selection of Fully Equipped, Luxury Motorhomes From America's Top Brands. 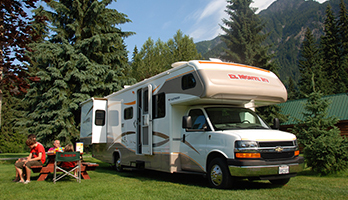 We specialize in Long Term RV Rentals - all of our vehicles are company owned & operated. 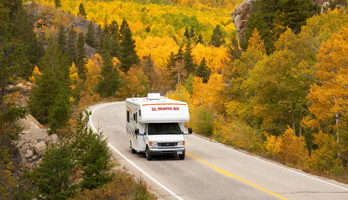 El Monte RV, founded in 1970, with Gateway locations nationwide is the largest and most successful privately held RV rental company in the US. The company maintains an RV rental fleet of over 1,500 deluxe, late model motor homes, drawing vacationers each year from around the globe. Within the travel trade industry El Monte RV enjoys the reputation for consistently providing the highest quality customer service and product possible at competitive, affordable prices. El Monte RV... for an unforgettable vacation!! Use our customer check-in area now so that you can get straight on the open road as soon as you get here! El Monte RV's Tokyo location is happy to serve customers from all over the world. 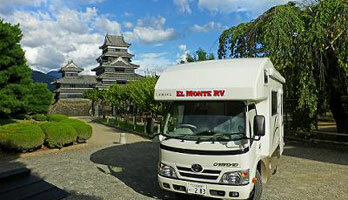 Rent your next motorhome in Japan! Find out more information about your vehicle and to see the exact specifications of our range of motorhomes.